Can You Fund Your Own Lending Club Loan? In order to be both a borrower and a lender at Lending Club, you have to open two accounts. With two accounts, can your lender account fund your borrower account’s loan? One of the things that I occasionally do to find new ideas to write about is to go through the referral logs and look at the search queries that have clicked through to the site. One such query was “Lending Club can you fund your own loan”. I want to be upfront with you. I haven’t asked Lending Club for an official policy on this. If I had to guess (which I’m doing now) I’d say that they don’t allow it. At first, I couldn’t figure out why someone would even want to fund their own loan. The only thing that I can come up with is to perform some sort of arbitration. Saving some money on interest rates while paying yourself a bit of interest as well. While that might sound like a good idea, it probably isn’t. First, if you’re using the loan to pay off higher interest rate debts, you’d be better off just using the cash you’re planning on using to fund your loan to pay down the debt you already have. Instant savings equal to the interest rate of the debt. No need to worry about breaking rules, just instant savings. The more compelling reason you probably don’t want to fund your own loan on a P2P lending site like Lending Club is all the fees and taxes you’ll end up having to pay. First, you’ll pay an origination fee on the loan. This could be anywhere from 1% – 5.5% of the loan depending on the credit “grade” of your loan. Next, you’ll pay fees on every payment that you pay yourself, further eating into any advantage. Finally, when tax time comes around, you’ll pay taxes on the interest income on the lending account. The combination of the fees you’ll incur through Lending Club, and your effective tax rate will, in most cases, completely erase any benefit you might see from paying the interest to yourself. It just doesn’t make sense. So, can you fund your own Lending Club loan? I can’t think of a good reason why you’d want to. Want to know how I suggest you use Lending Club investing? 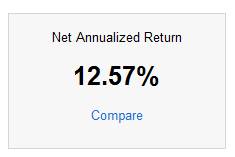 Check out my 2Q12 Lending Club results.